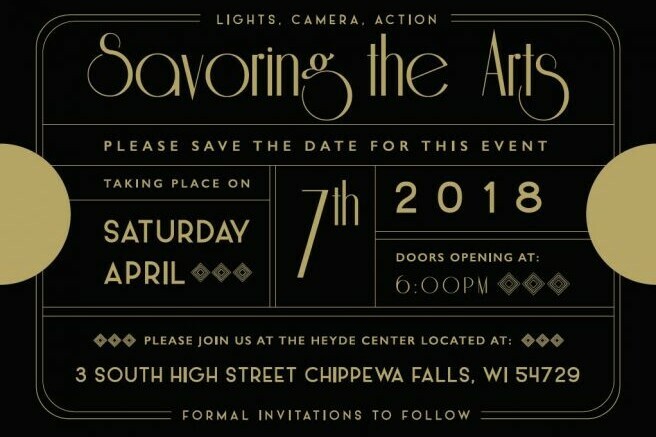 Savoring the Arts is the major annual fundraising and social event for CVCA/Heyde Center for the Arts. It is an opportunity to provide our supporters with a delightful social evening, developing and nurturing relationships plus making new friends, all while raising much-needed funds for special needs and ongoing expenses.This year's theme is Hollywood Awards/Oscar Night. More details to come. Corporate sponsors are always welcome. For more information, please contact Deb Johnson at (715)726-9000 or email djohnson@cvca.net.